"The USA Team Camp is a great start to the season in many ways. At an early age and with many sports offered to our boys, it seems that only after two weeks of play are the boy's back on same track they left off in the Spring. With the USA Team Camp our boys refresh their minds on simple foot skills and game play that they learned the season before. It prepares them with more endurance which is needed on the field. With new boys joining the team we are able to evaluate them better and figure out where they will fit in to maximize the team's performance. And when you add a new player having him scrimmaging with the rest of the team at Camp, makes him familiar with team's style of play and players." 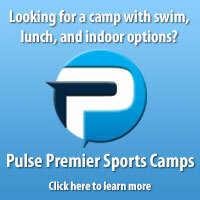 "The aspect of your camp that was most appealing to us was that you came to our facility. Most soccer camps require our kids to travel significant distance, stay overnight, and spend hundreds of dollars which many of our players can not afford. Your camp came to us, has a reasonable cost, and provided instructors with the experience at the highest levels of the game. Your camp provided numerous skills and drills which helped to improve the quality of the players in the program. I'm convinced that any youth soccer program will benefit from participating in a USA Soccer Camp." "I think a pre-season camp is good for your team both socially and skill-wise. We were a new team and the camp served as a great icebreaker. The time spent together that week helped create a nice bond for the girls, and getting to know each other and our trainer really helped. Having so much training time upfront allowed us to give the girls some base skills to get ready for the season that otherwise would have taken a month or two to teach in 1 1/2 hour increments. When we started the season, we had a head start over many of our opponents and it showed in the quality of our play and our results." "Our team was moving up from a small to a full-sided field and the week-long USA Team Camp enabled the team to make a seamless transition."